Book Information: “Opening the book is like turning on the radio to something quite funky. It sets you moving in its own time. The translation of rhythms from music into print; that’s the achievement, impressive, as the many who write poetry will know, the significance, of Clarke’s collection. Turn to any title. You’ll find its movement gets into your own, into your foot against the chair leg, your fingers on the keypad. It gives you an idea of the strength to be found in Clarke’s live performances…Even not carrying the revolution under its arm, her book should certainly make the streets.” -Greg Westenberg, Crikey. 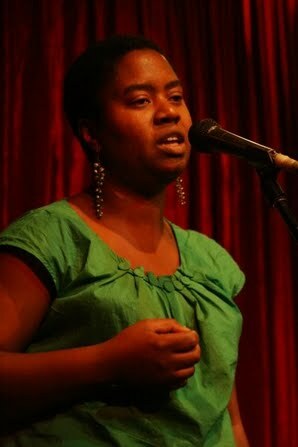 Brief Bio: Maxine Beneba Clarke is a West Indian-Australian writer & poetry slam champion. Her essays, fiction & short stories have been broadcast & published nationally, including in Voiceworks, the Age, the Big Issue, Overland, Kunapipi, Peril & Going Down Swinging, on 3CR radio’s Spoken Word and Hip Sista Hop and on RRR radio’s Aural Text and Max Headroom. Maxine’s second poetry collection Gil Scott Heron is on Parole was published by Picaro Press in 2010. Item: An autographed copy of Repulsion Thrust. Book Information: Repulsion Thrust tackles big subjects not often the fodder of poetry: quantum physics, astronomy, time travel, ecological destruction, and technological singularity, all viewed through the lens of the human condition. Brief Bio: Magdalena Ball runs The Compulsive Reader. Her short stories, editorials, poetry, reviews and articles have appeared in a wide number of printed anthologies and journals, and have won local and international awards for poetry and fiction. 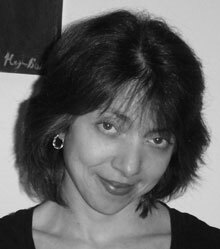 She holds a Bachelor of Arts degree in English Literature from CCNY (New York), an MBA from Charles Sturt University (Wagga), and has studied literature on a postgraduate level at Oxford University (UK). 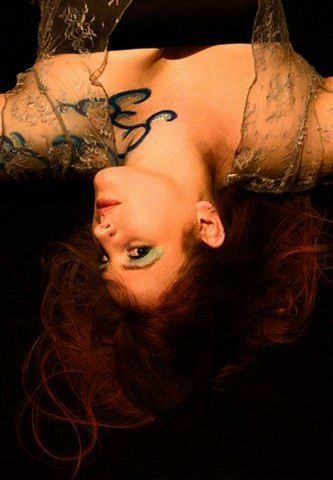 She also works as a manuscript assessor for Manuscripts Online, is a member of the BookConnector Advisory Board, an Evaluative Reader for Catchfire Press, and Information Manager for Orica. She is the author of Sleep Before Evening, The Art of Assessment, Quark Soup. ITEM: One signed copy of the poetry book ‘First Taste’ by Tiggy Johnson. DETAILS: Tiggy Johnson’s first poetry collection First taste was released in 2010 and is available now. The ISBN is 978-0-9808136-0-9. Please bid in the comments box below. CV: Tiggy Johnson is the editor of Page Seventeen. She is also a parent, a student, a teacher, a quilter and a writer. Her short stories, poetry and articles have appeared in various Australian magazines including Cordite, Blue Dog and Verandah and she was awarded 2nd prize in the Herald-Sun/Collins Short Story Competition 2004. Tiggy blogs at: www.tiggyjohnson.blogspot.com and lives in Melbourne’s Dandenong Ranges with her husband, Bryden, and their gorgeous children, Hamish, Claudia and Dylan. ITEM: One copy of ‘Delightfully Haiku’ signed by the author, published by Jelli-Beanz Publishing. DETAILS: (From the Jelli-Beanz website) “Delightfully Haiku“ is a beautiful collection of Japanese haiku poetry. Thoughtfully published in the perfect handbag size so you can take it when ever you go. Rich in captured moments of emotion and sensory delights. Edited by Tasmania’s most published author, Sally Odgers and cover illustration by Matthew Shires. 219 Limited Edition /Australian Boxed Set: Black Inc. ITEM: Limited edition boxed set of The Best Australian Stories 2010, The Best Australian Essays 2010 and The Best Australian Poems 2010 (RRP$69.95) published by Black Inc. DETAILS: Each year the Best Australian collections – essays, stories and poems – bring together the best and brightest that has been written across the country. Selected by an eminent writer, these are collections that show the full range of writing we produce, recalling the year that has just been. 2010 marks the tenth anniversary of the series. A 15-20min performance around the Sydney, Canberra or as far North as Central Coast. Will also organsie other performers to make it an 30 minute show.